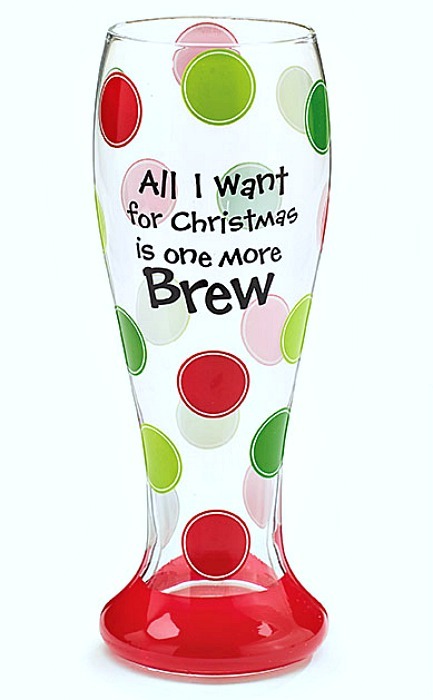 Handblown pilsner glass with red and green polka dots all over, decal message "All I want for Christmas is one more brew." 9" H x 3" Opening. Holds 22oz.